London, UK and Fountain Hills, AZ – 23 February 2017 : Today, Technologic Systems, Inc. announced that it will be partnering with Canonical to make Ubuntu Core available for their TS-4900 Compute Module. 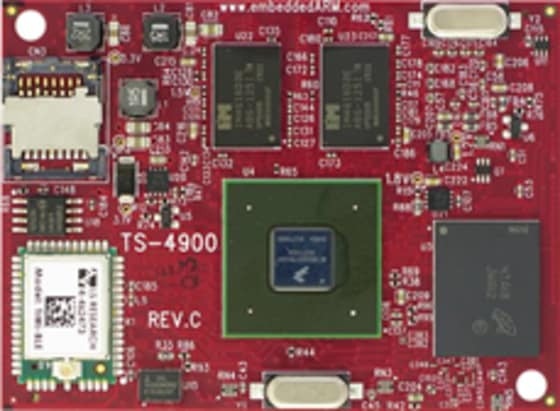 The TS-4900 is a high-performance Computer on Module (CoM) based on the NXP i.MX6 CPU which implements the ARM® CortexTM A9 architecture clocked at 1 GHz. The TS-4900 is available in either single or quad core configurations with up to 2 GB DDR3 RAM. It is designed with connectivity in mind with WiFi 802.11 b/g/n and Bluetooth 4.0 onboard. Several standard interfaces are supported including Gigabit Ethernet, USB, SATA II, and PCIe Express. 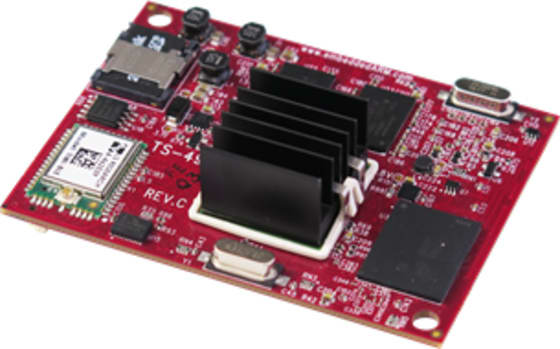 The TS-4900 is fanless, although a heat sink is recommended for the quad core configuration, and it is rated at an industrial temperature range (-40 oC to 85 oC). In addition, new applications can be simply developed and rolled out across the deployment via snap packages, increasing the utility and value of any IoT deployment.